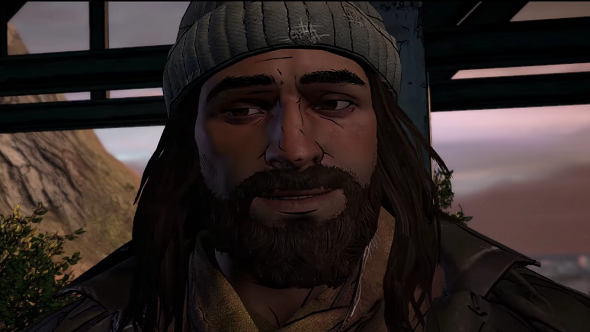 The Walking Dead’s third season just got a launch trailer ahead of its release in a week’s time, teasing what’s coming for Clem and Javier in this new adventure. It looks like some show watchers and comic book readers are going to be seeing some familiar faces. For more shambling corpses, check out our list of the best zombie games. As you can see in the trailer embedded above, the pair will bump into Jesus during their journey, which means they can’t be all that far from Rick and co, depending on where exactly this falls chronologically. It does make you wonder if Negan is about, too. There’s definitely some kind of villain teased right at the end of the trailer, though it doesn’t show their face. According to Telltale, they got a little carried away with the first episode and it ended up running too long. So now the first episode will release in two parts, both available on the same day, December 20.